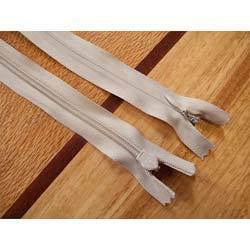 We have emerged as foremost manufacturer and supplier of a wide gamut of Skirts Invisible Zippers. For the fabrication of this product, we utilize premium quality raw material and latest technology that assure its extended durability and perfect finish. Also, we can customize this product in different specifications in terms of colors, lengths & widths in accordance with the detail provided by client to full fill their exact needs. Precise dimensions, sturdy construction, rust & weather resistance and easy installation are some of the salient features of this product. Client can avail from us an extensive array of Skirts Open Invisible Zippers, which is designed and developed under the supervision of our experienced engineers. The raw material used in the fabrication of this product is procured from the reliable vendors of the market. Our offered product is well-known in the market owing to its dimensional accuracy, high strength, easy usage and durability. Moreover, our offered product is applicable in various garment industries. Looking for Invisible Zippers ?